I'm honored to announce our office is now an official partner with the United States of America Vietnam War Commemoration, a program to properly honor Vietnam-era veterans and their families. 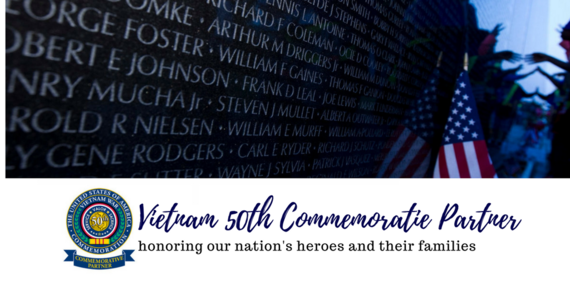 As a Commemorative Partner, my office will host events and activities each year to recognize the tremendous sacrifices of Vietnam-era veterans, highlight the contributions made on the home front, and celebrate the advances made in science, technology, medicine, and military research. Many Vietnam veterans were treated badly or met with indifference after their service. The controversy surrounding U.S. involvement in Vietnam sparked protests and demonstrations that continued long after our service members returned home. Decades later, it is important that we recognize the sacrifice these veterans made for our country. Regardless of our feelings about the Vietnam War, that blame should have never been placed on heroes who served their country. If you are a veteran or surviving family member of the Vietnam War-era (anyone who served active-duty during November 1, 1955 - May 15, 1975) and want to be included in an upcoming event to honor Vietnam-era veterans, you can sign up to be notified of our next event. Visit the Frequently Asked Questions page for more about the Vietnam War Commemoration and eligibility requirements. Sign up here to be notified of our next event or ceremony. It's an honor to be part of this new opportunity to give our Vietnam heroes and their families, the overdue recognition they earned through their service. If you have additional questions, please visit our website or call our San Diego office at 858-455-5550.